Kome Udu - Show Me Your Glory (Mp3 Audio Music + Video Free Download) - Kome is a unique Gospel Artiste and a spiritually gifted inspirational songwriter with over 25 years of leading Praise and Worship both in Nigeria and presently, the United Kingdom. She is one of the few Gospel Artistes whose music originality is solely built on the Word of God. Her purpose is to inspire a new generation of true worshippers. In her words: “Show me Your Glory was inspired by a deep search for God’s Glory to be revealed in my life as He has called me into His work. It was during a time of seeking God’s face that He deposited this song in my spirit.”Show Me Your Glory” A Prayer which has long been answered. 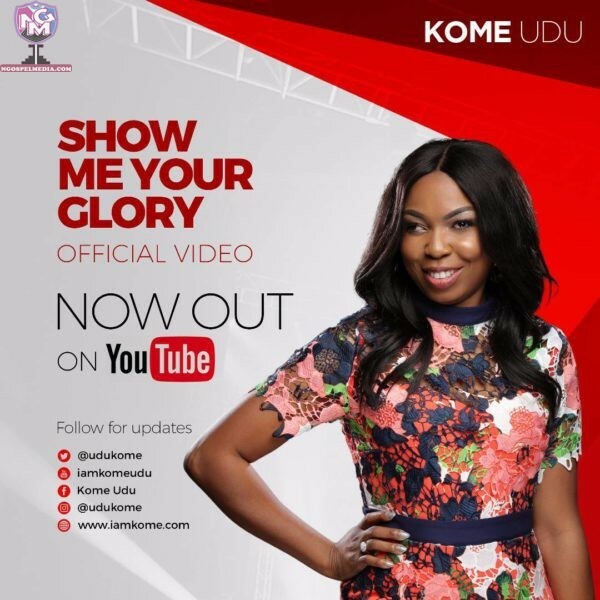 Show Me Your Glory is a single from the forthcoming 10-track, Spirit-filled Album titled “Spirit Overflow” due to be released 30th June 2018.